Julie Hammond lives in Western Australia with her husband and 3 children. She has been a body worker for over 15 years and is a certified KMI Structural Integration Practitioner, a certified Anatomy Trains Teacher and Sports and Remedial Massage Therapist. Julie undertook her KMI Training internationally and is delighted to be able to bring Anatomy Trains and KMI Training to Australia and beyond. 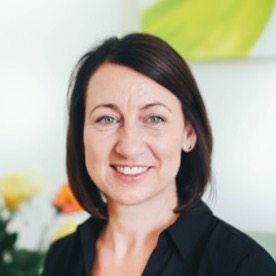 She not only teaches Anatomy Trains but also runs the Anatomy Trains Australia office and is director of Bodywork Education Australia, as well as still working in her clinic in Secret Harbour, Bodywork Integration. Julie has travelled extensively in the last few years, assisting teaching in America and South Africa; she is now looking forward to teaching closer to home. She has been teaching in Australia for the last year and next year will be taking Anatomy Trains to New Zealand.